Ayatollah Seyyed Ali Khamenei, the Leader of Iran’s Islamic Revolution, says the Islamic Republic’s plan for the issue of Palestine is based on a democratic plebiscite. Ayatollah Khamenei made the comment in a Sunday meeting with a host of professors and researchers at universities. “We announced a plan [to resolve the issue of Palestine] from day one, and said democracy today is a modern method accepted worldwide,” said the Leader. “We said in order to determine the fate of the historical country of Palestine, you should refer to Palestinian people. The plan has been registered at the UN as the viewpoint of the Islamic Republic of Iran,” said Ayatollah Khamenei. The Leader noted that Iran acts logically in all issues. “Go and conduct an opinion poll among those who are really Palestinian and have lived in [occupied] Palestine since 80 or 100 years ago, whether Muslims, Jews or Christians, whether in occupied territories or outside them – act according to whatever they say. Is this a bad idea? Don’t the Europeans want to understand this?” said the Leader. He then hit out at the Zionist regime of Israel for pressing charges against Iran. 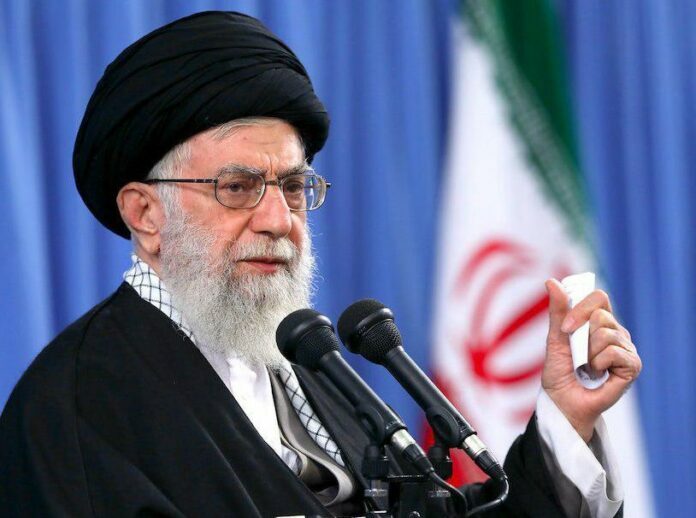 “That child-killing, tyrannical, wicked and brutal regime plays possum and claims that Iran wants to exterminate several million of its (Israel’s) population,” Ayatollah Khamenei said. He said Israel is the worst of tyrants of all time, with Europe remaining silent in the face of atrocities committed by Tel Aviv in Gaza and al-Quds. He noted that Iran has the most number of enemies among despotic governments and worthless powers, and at the same time, has the most number of supporters among the masses in many countries.